It was a lovely spring day when all of a sudden... BAM! We walk into a room full of Mini superheroes, their parents, and none other than The PJ Masks! 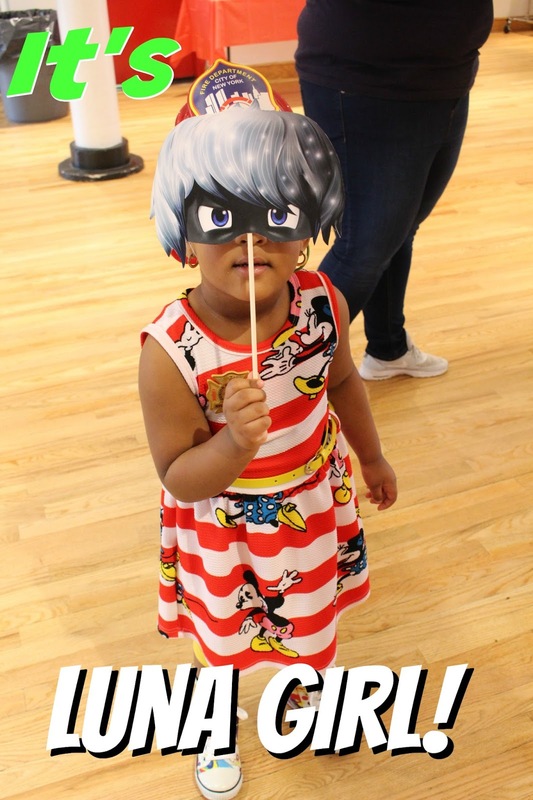 In honor of National Super Hero Day (April 28th), we were invited to a pre-celebration filled with exciting PJ Masks Fun and Goody Bags for everyone. 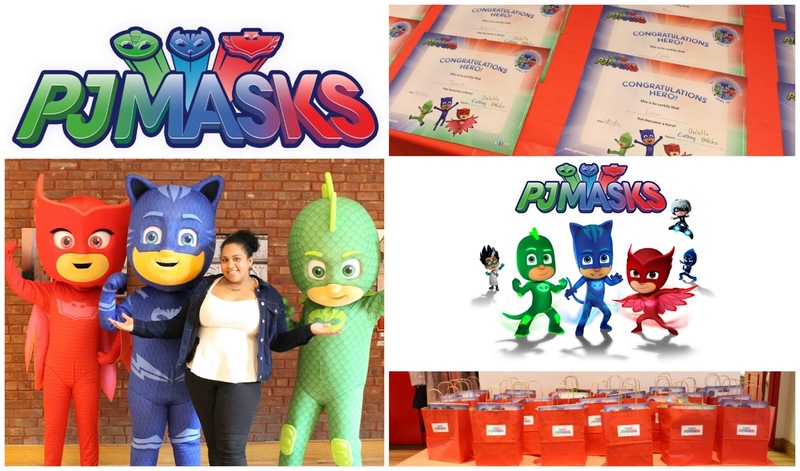 For those who don't know, PJ Masks is a French animated preschool television series based on the Les Pyjamasques book series from French author Romuald Racioppo. The series premiered on September 18, 2015 on both Disney Channel and Disney Junior here in the US. They are 3 seemingly normal kids who happen to be neighbors, classmates, and friends. At night, their bracelets light up and link to their pajamas to turn them into Gecko, Catboy, and Owlette! 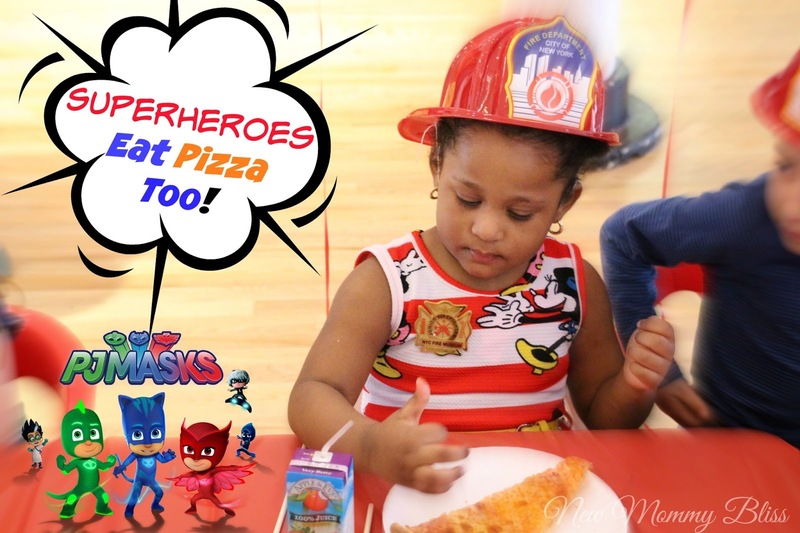 The series is super cute and I'm happy we were able to enjoy a Screening of some of PJ Masks great episodes, Eat some yummy pizza (fit for energized heroes), draw, color, play and so much more. The set up was really cute and kids got to grab some masks and pretend to be their favorite PJ Masks character hero or "Villains". My daughter's favorite was Luna Girl and she couldn't complete the look without her Luna Magnet! It was great watching the kids REALLY act like they were fighting crime just like the PJ Masks. 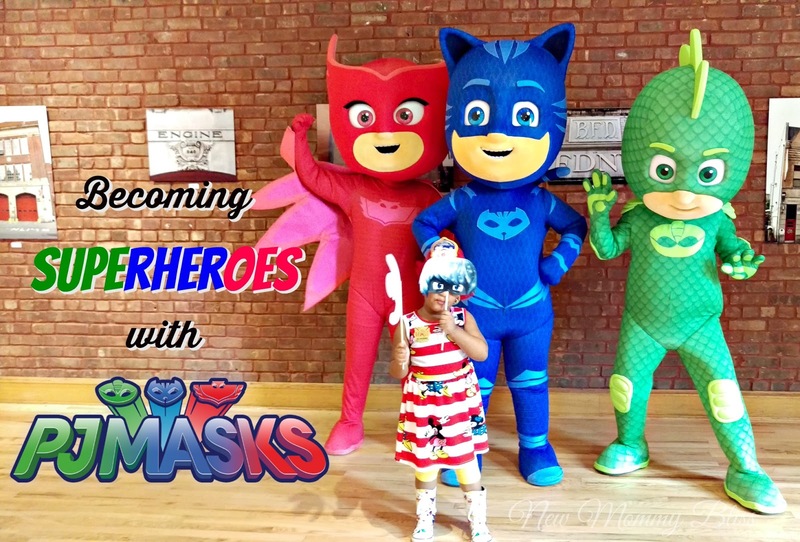 If you want to create your own PJ Masks Character outfit or print some fun work sheets then check out the PJ Masks Site! Overall, We had a Fantastic Time! I'm also glad that the event was held at the New York Fire Museum because the Fire Fighters are definitely our real life Heroes! Thanks for Having Us PJ Masks! Sounds like a very fun event for you and Luna girl. 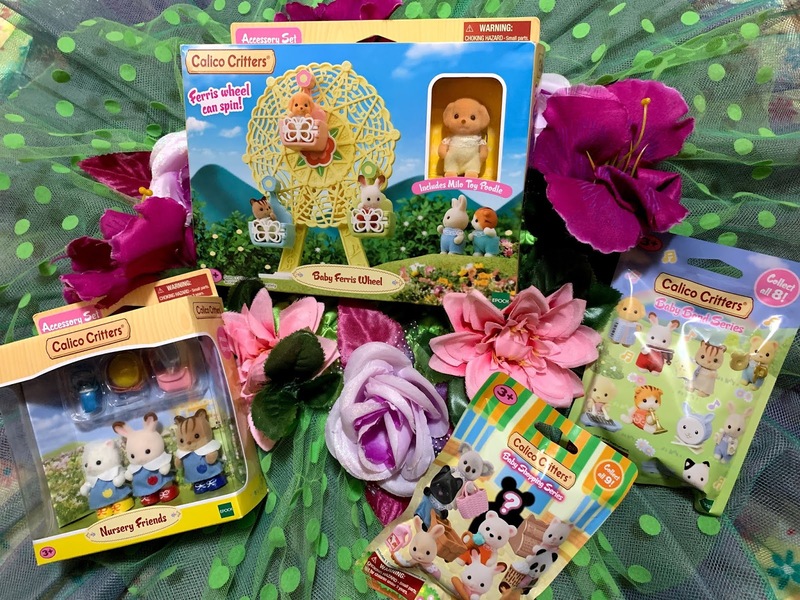 My daughter would have loved this party and it looks like so much fun things to do! 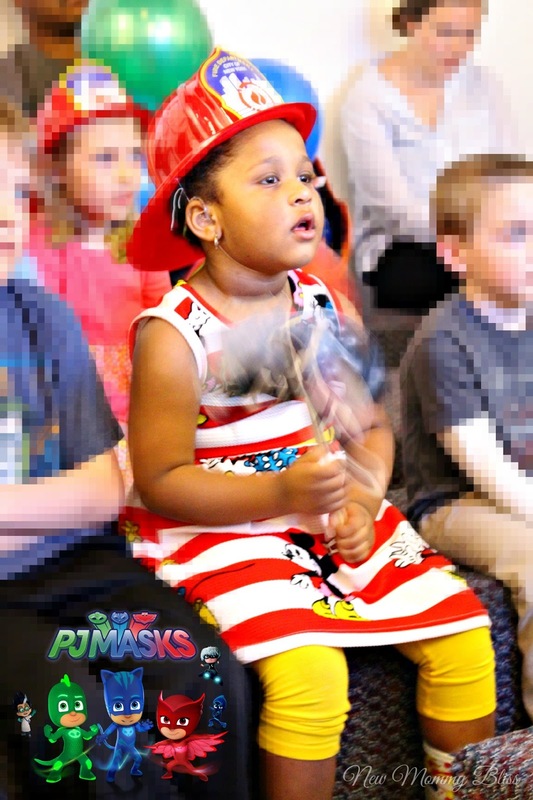 We love the PJ Masks show! I want to buy 3 outfit as in the first picture, how to buy it? New York Baby Show 10 Ticket Giveaway! Making It Stick with Post-it Brand! 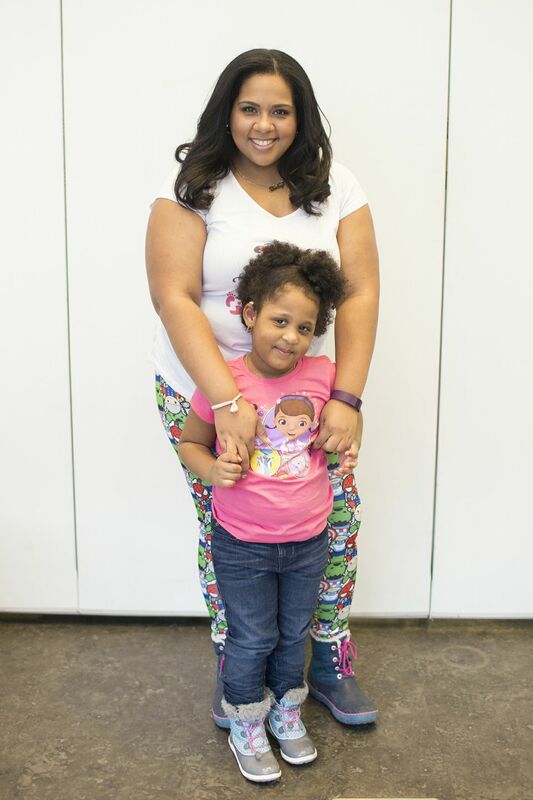 We Tried the JCPenney Fashion Challenge!